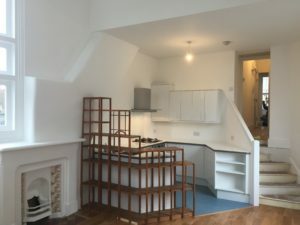 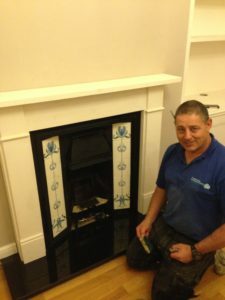 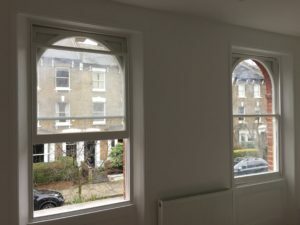 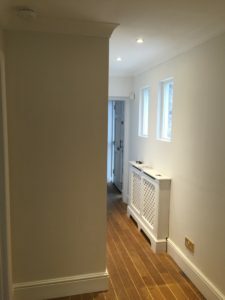 This dilapidated flat was transformed into a bright and warm living space. 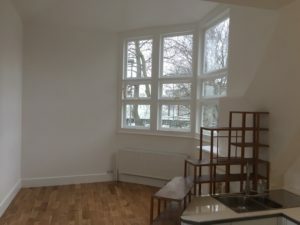 New bathroom, kitchen, living area, 2 bedrooms, new glazing (including large studio window), and new heating system. 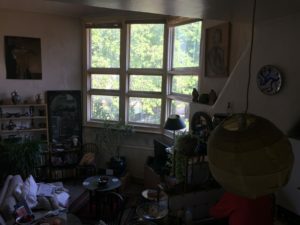 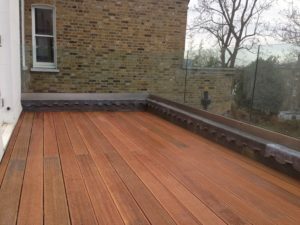 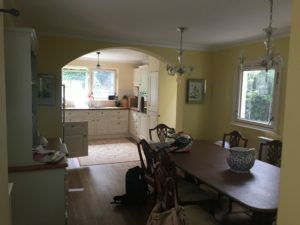 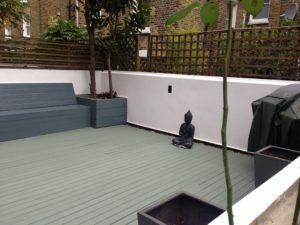 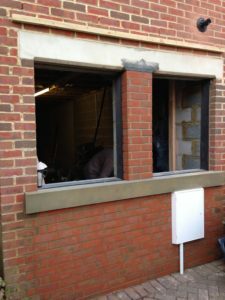 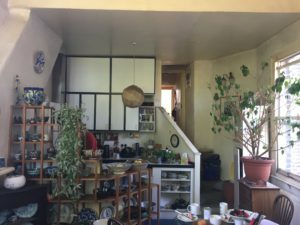 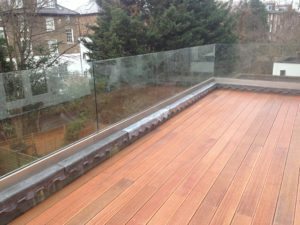 Note – some BEFORE and AFTER photos included. 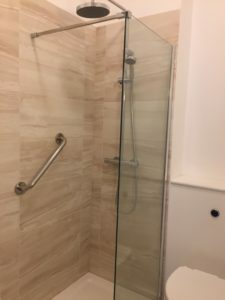 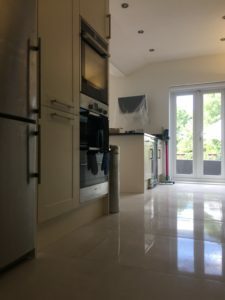 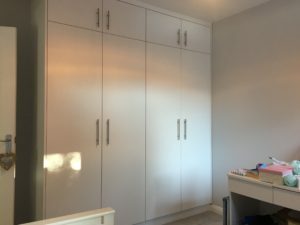 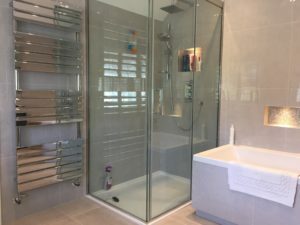 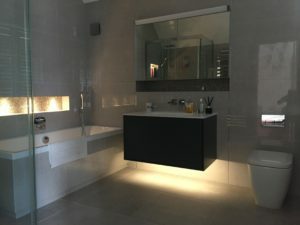 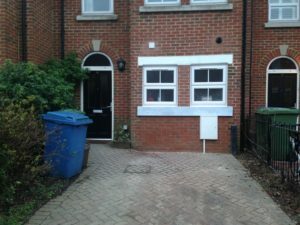 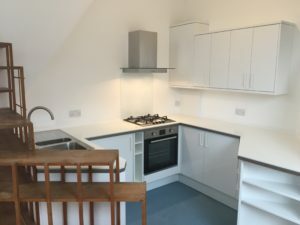 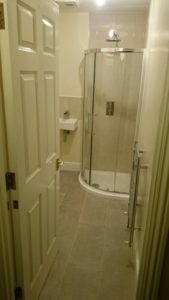 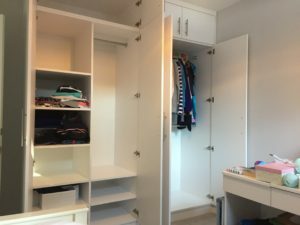 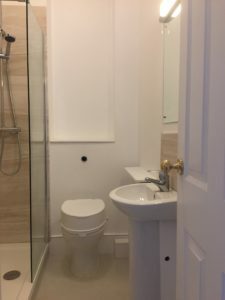 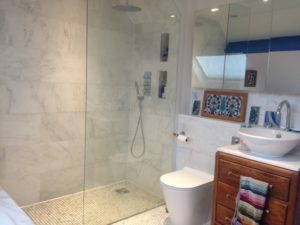 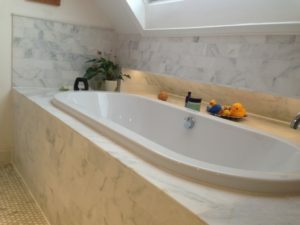 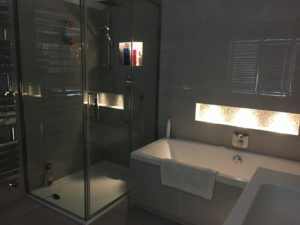 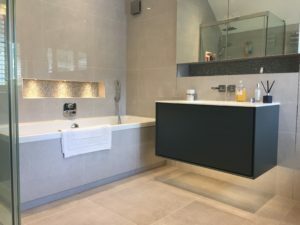 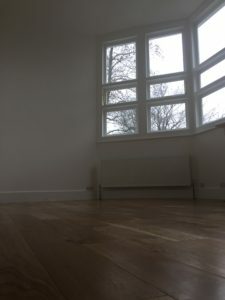 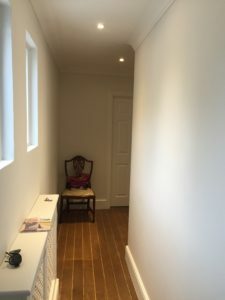 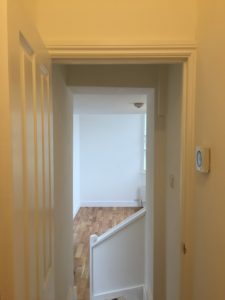 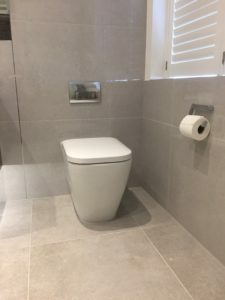 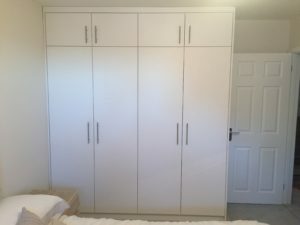 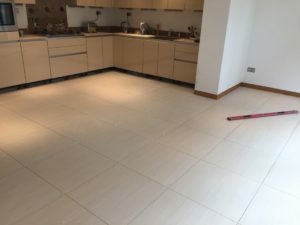 Existing en-suite bathroom completely refurbished and underfloor heating installed, new flooring, island, and units to kitchen, new sliding doors, new panel radiators, refurbishment of hallway. 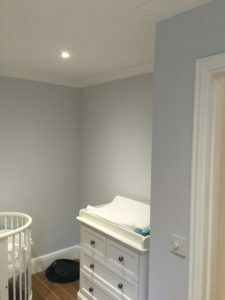 We created an addition bedroom with sound insulation and new lighting. 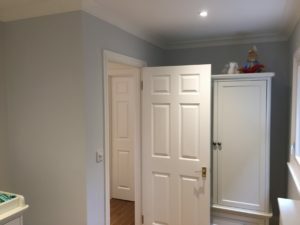 Fully decorated throughout. 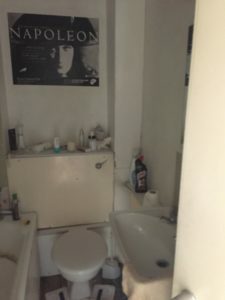 Note – a BEFORE photo included.